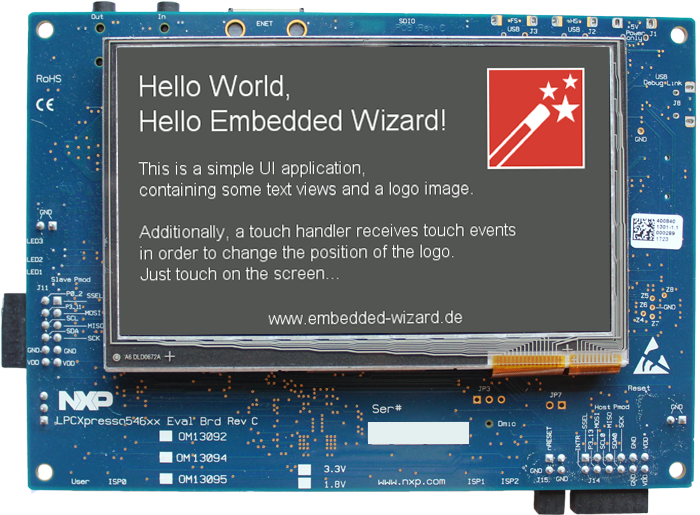 The following article explains all necessary steps to create an Embedded Wizard UI application suitable for the LPCXpresso54628 development board. Please follow these instructions carefully and step by step in order to ensure that you will get everything up and running on your target. 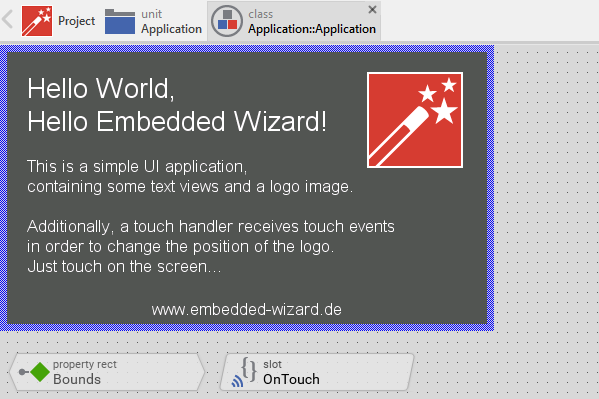 In case you are not familiar with Embedded Wizard, please read first the Quick Tour tutorial to understand the principles of Embedded Wizard and the GUI development workflow. If you want to use the Free edition of Embedded Wizard Studio and the NxpLpc Platform Package, please register on our website and select the target LPCXpresso54628. Then you can download the above software packages. ★Step 4: Unpack the provided Embedded Wizard Build Environment for LPCXpresso54628 to your local file system (e.g. 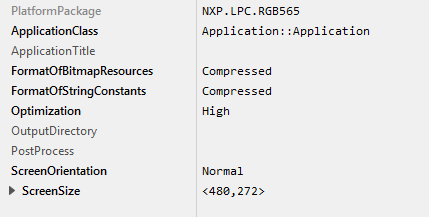 C:\NXP\LPCXpresso54628). 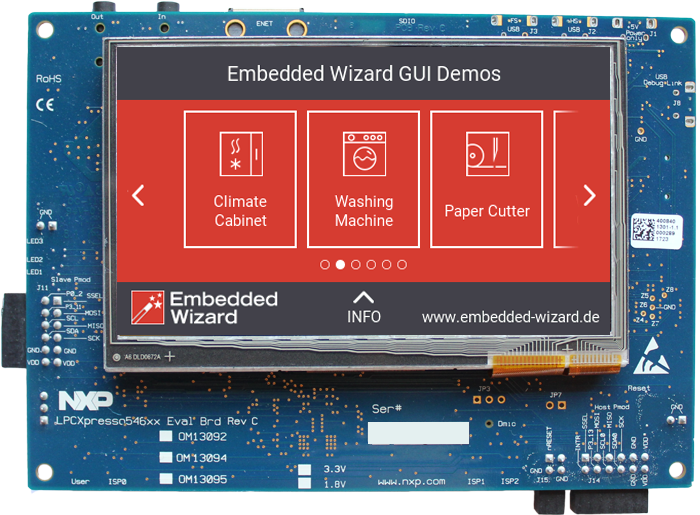 If you just want to run our GUI demos on your LPCXpresso54628 development board without building the different examples, you can simply flash the binary file of the Embedded Wizard Master Demo. 'Master Demo' running on LPCXpresso54628 development board. •\MCUXpressoSDK - This folder contains the necessary subset of the Software Development Kit (SDK) for LPCXpresso54628 used for the Embedded Wizard UI applications (BSP, drivers, FreeRTOS). If everything works as expected, the application is now executed on your LPCXpresso54628 target. Example 'HelloWorld' running on LPCXpresso54628 development board. 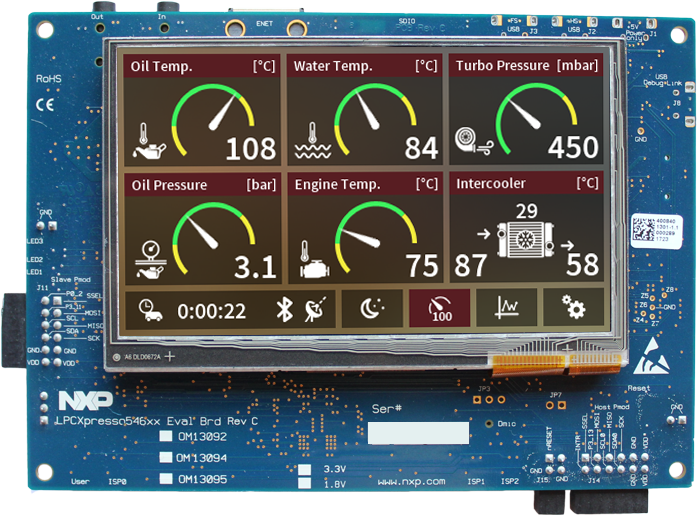 ★The attribute ScreenSize should correspond to the display size of the LPCXpresso54628 development board. ★As soon as you connect your LPCXpresso54628 target with the PC via USB, a LPC-LinkII UCom Port (COMx) appears within your system device list. Open the device manager to get the number of the installed COM port. ★Select the Profile and set the attribute PostProcess to the file ..\..\Application\Project\MCUXpresso\ LPCXpresso54628\MCUXpresso_ew_post_process.cmd. 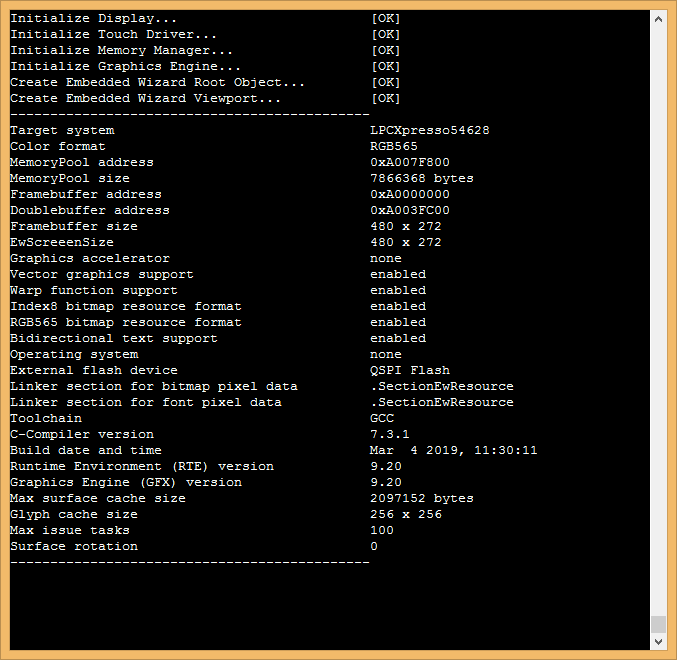 ★Choose Select root directory - Browse and select the directory \Application\Project\MCUXpresso\LPCXpresso54628. As soon as these steps are done, you can create your own GUI application or use one of the provided examples. If the size of your display is different compared to the display of the LPCXpresso54628 development board (480x272 pixel), please adapt the attribute ScreenSize of the UI project and the size of the framebuffer within the file ewmain.c accordingly.